In 2013, our team migrated www.NASA.gov —a site with over 250,000+ pages, 1.4 million assets, and 3 TBs of data—from a proprietary data center and content management system (CMS) to Amazon Cloud and Drupal 7 without downtime or service interruption. This was a colossal task: Mobomo completed the entire effort in just 13 weeks. The results were so colossal, in fact, that www.NASA.gov even won a highly coveted Webby Award. 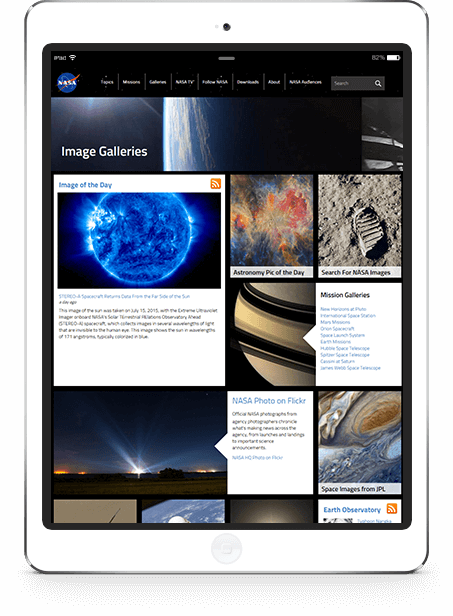 Mobomo has architected the www.NASA.gov Drupal 7 AWS cloud environment with security, performance, and availability in mind. It is architected in a fashion that separates the content management system from the public website infrastructure to provide maximum security. It is deployed in multiple AWS availability zones for redundancy, handles over 250 content editors performing over 1,000 content updates a day, receives on average close to one million page views a day, and manages peaks loads of over 5,000,000 page views a day representing over 200,000 simultaneous visitors. 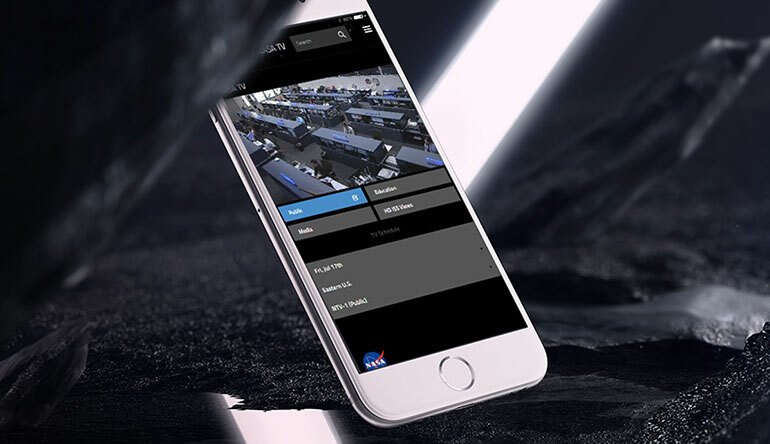 As of Spring 2015, we’ve taken NASA's website to higher heights: we’ve relaunched it with a dynamic, user-centric, mobile-first redesign that simplifies the experience for every visitor. Now, all users get all of the amazing, premium content—without the clutter. Any device, any time, anywhere. To “reach new heights and reveal the unknown...to benefit all of humankind”: this is NASA’s vision. But this lofty mission is not just the priority of its space exploration program: it’s the lifeblood of the entire organization. Thus, when NASA decided to redesign www.NASA.gov, keeping with that vision was a top priority. With a fully responsive, highly secure, and user-focused platform, the new www.NASA.gov enables space enthusiasts to stay current on NASA events, with minimal effort. The site boasts a simplistic UI—complete with sleek tile layouts and streamlined navigation—highlighting the most relevant and popular multimedia content. 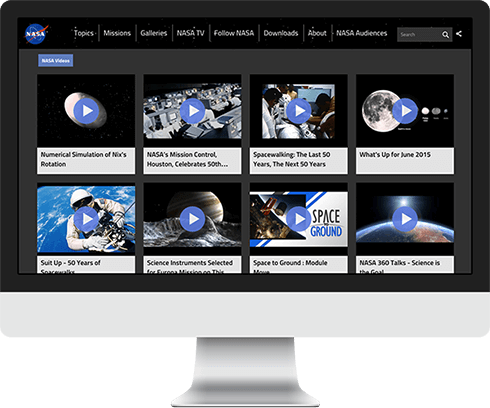 Users can scroll through snapshots and quickly identify an article of interest; they can follow updates on any one of NASA’s top exploration missions; still others can watch continuously streaming content on any of the four NASA TV channels. After migrating NASA’s proprietary data back in 2013, we had to select the right content management system to meet their needs. By using Drupal 7, an open source CMS, Mobomo saved a tremendous amount of time (and for NASA, money). 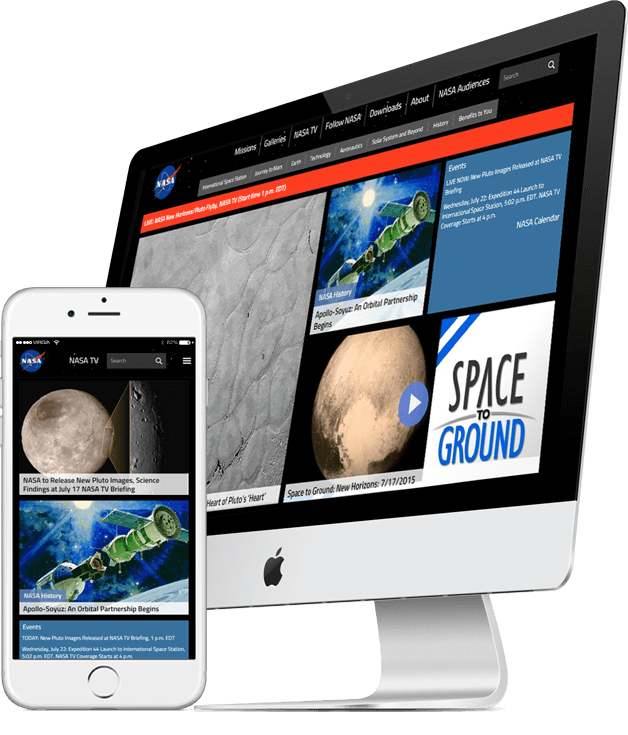 Using Drupal 7 and the Amazon cloud also ensured that NASA’s content was securely stored, as well as scalable and flexible. With its user-driven APIs, scalability, cloud-friendliness, and other robust features, AWS and Drupal proved perfectly suited to meet the content needs of both NASA and its end-users. Along with data migration, optimizing the site’s media display was high on the priority list. Leveraging Ember.js, Mobomo’s design team utilized a big thumbnail concept for content viewing, showcasing NASA’s out-of-this-world (pun-intended) assets via large, effervescent images. The new design allows users to continuously scroll through an endless stream of pictures, videos, and articles—exploration without ever having to leave the homepage. In addition, simplified navigation with clear categories and optimized search allows users to mine through large amounts of content and topics with ease. Multi-layered, web-based views distill into single-feed mobile views; videos stream quickly on small mobile devices; and users can share content through social media platforms with the click of a button. Today, neither content nor efficiency are sacrificed. NASA, now truly empowers its website users to “reach new heights”: to www.NASA.gov infinity, and beyond!